Hazrath SYED SHAHUL HAMEED QADIRI is is direct 22nd Decentant of Prophet Muhammad and 9th Direct Decentant from Hazrat Syed Mohideen Shaik Abdul kaadhir Jeelani Bagdhahi. The Dargah is located 78 km from Thanjavur / 300 KM from Chennai. 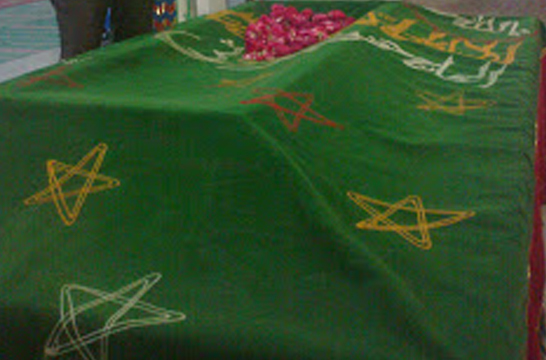 His father was HAZARATH SYED HASAN KHUDDOOS SAHIB and his mother BEEBI FATHIMA. Even before his birth, a messenger of God appeared before his mother Beebi Fathima in a dream and predicted that she would be blessed with a son who would be the Savior of people and spend his life to spread Ilam. Even as a child he showed signs of great wisdom, intense piety and divine communication before he was eight years old and learnt Arabic language and its grammar. 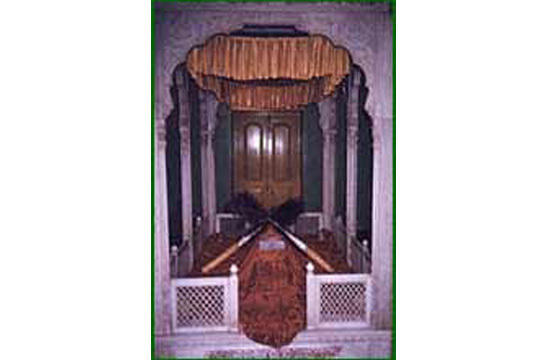 He went in search of a religious preceptor (Master) who could educate him in solving the riddle and the secrecy of the world and who could teach him more about the Almighty and his ways and at his parent's desire, went to Gwalior to be initiated by HAZARATH SYED MOHAMED GHOUSE SAHIB Gwalior in divine knowledge. The Saint visited Thanjavur, at that time the Naick dynasty was ruling over Thanjavur. The King Achuthuppa Naikan, then ruler of Thanjavur was suffering from a grievous and prolonged illness. The ministry of the King begged the Saint and requested him to visit the palace and cure the ill of the King. The Saint was very much moved went to the palace and found that a dove was made to suffer by black-magic, with pin pricks all over its body and it was in a very unsafe condition and was the cause of the King's ailment at once. He asked his son to bring the dove prayed and removed one by one the pins in the body of the dove. After the removal of the pins the King recovered and got well. The queen energized by the miraculous cure of her husband fell on her knees before the Saint and begged the Saint to bless them with children. The Saint accordingly blessed them with a fruitful progeny and in return the King offered wealth and rich presents which the Saint did not accept but only asked the King to give him a piece of land near the Sea-shore. Accordingly the King dedicated 30 acres of land called 'Heavenly' and submitted the same to the Holy Saint on which the present buildings and premises of "Nagore Dargah shrine" stands. He remained in the place till the end of his life with his son. The Maharatta King of Thanjavur Tulasi Maharaja endowed 115 villages 4000 acres of Agricultural lands for the maintenance of the Dargah.  The anniversary of the Holy Saint is celebrated every year for fourteen days commencing from the first day of the Islamic calendar month of Jamathul - akhir. The festival known as the Grand "KANDOORI FESTIVAL" attracts hundreds of thousands of pilgrims from Malaysia, Singapore, Arabia, Sri Lanka, Burma, Pakistan and majority of the pilgrims come from the Indian states of Andhra Pradesh, Kerela, Karnataka, Maharastra, U.P and West Bengal and other parts of India. 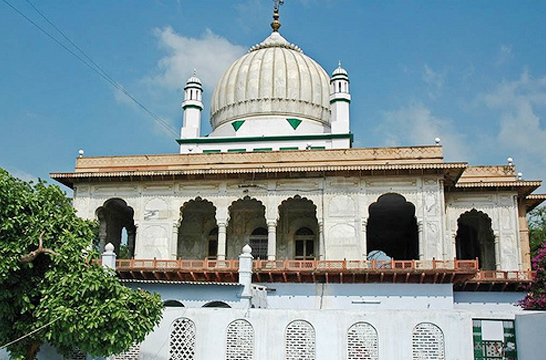 The Dargah is managed by eight hereditary trustees who are the lineal descendants of the Saint's miraculous son Hazarath Syed Mohamed Yusoof Sahib by primogeniture.